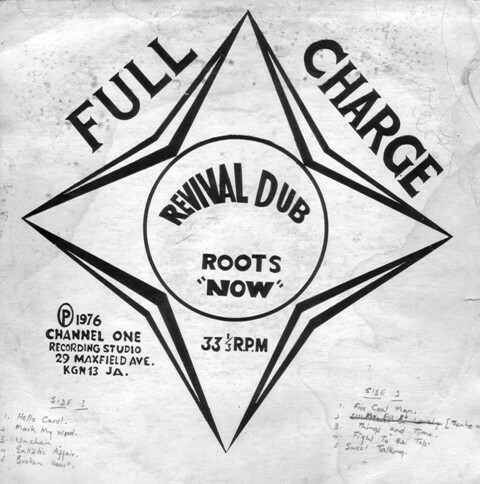 Zero G Sound : The Revolutionaries - 1976 - Revival Dub Roots "Now"
The Revolutionaries - 1976 - Revival Dub Roots "Now"
Starting with the Skatalites, Jamaican recordings largely revolved around a select floating pool of the island's best musicians; top producers began calling on the Revolutionaries in the mid-'70s. But the group's importance extends far beyond providing the music to many roots classics; Revolutionaries backing tracks dominated Jamaican music when dub, the foundation of the mix culture, became a widespread reggae phenomenon. The rise of the Revolutionaries also marked the arrival of Robbie Shakespeare and Sly Dunbar as the next great bass and drums team in Jamaican music. With Carleton Barrett and Aston "Family Man" Barrett on the road with Bob Marley & the Wailers, Sly & Robbie were the rhythm section of choice when reggae emerged as an international force.